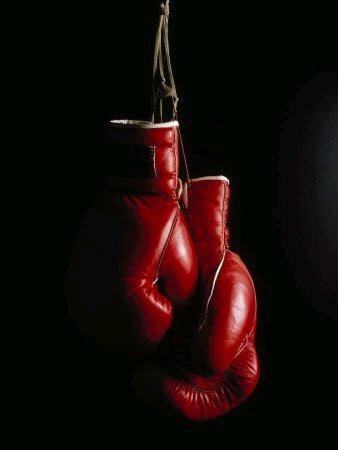 As I see the gloves; they hover around me; though I don't fight but I win instead. Though the champions they stand all around; I'm untouched, I'm not beaten but I'm honored; though I don't know why do they look up to me? I really don't deserve but my heart goes away in this pen I write; why amateurs are around me 'Should I fear?' As they say "No." Should I run? They're answer's the same. I ask will I be hurt? They say "Not to worry." They work with me even though I write and though they fight, they're on my side, they call their fears away, away by my writes they grow strong, not my own words alone I say, they keep the win, they keep the fight. No pride just family, no hurts just laughter. So I build them up to win the fight, with this pen and with this paper I command, I coach them through with ease, good luck, no looses for them, my family has won the rings, undefeated.